The plot thickens in Green Arrow #23 as we discover more about the mysterious group known as The Outsiders who have apparently been manipulating Ollie since birth and his family for generations. 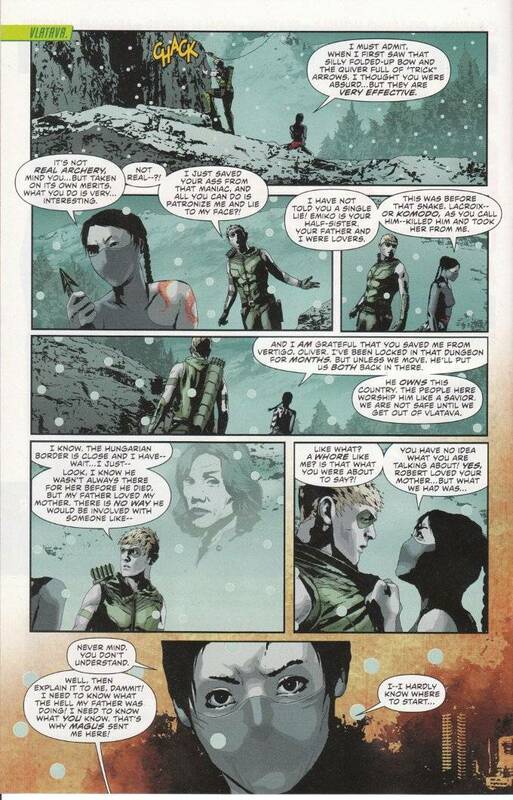 We also learn the full story of the mysterious assassin Shado and her relationship with Ollie's father. We even get another check-in on the crime bosses of Seattle, where it seems another classic figure from the martial arts world of the old DC Comics universe has finally made an appearance in The New 52. It's odd how Jeff Lemire has taken a number of the trappings of classic Green Arrow and used them to forge something that is entirely new yet feels like the the classic Mike Grell comics of old. This version of Oliver Queen may not a perpetually pissed-off aging hippie and his relationship with Shado may be complicated in an entirely different way, yet the complication is still there. Shado is much the same as she was under Grell's pen, even if the son she would risk all for is now a daughter. Andrea Sorrentino's artwork also reminds me of Mike Grell's work, yet Sorrentino has an aesthetic all his own. 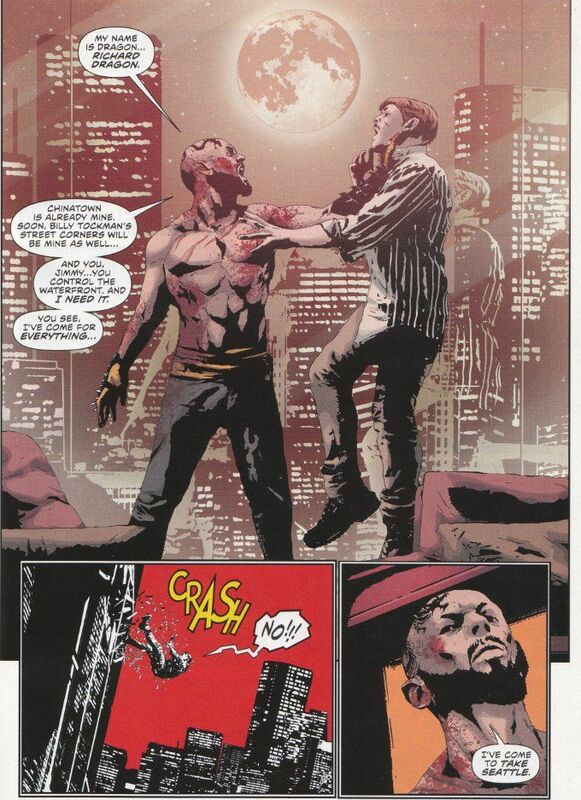 Like Grell, Sorrentino is a master at fitting the maximum amount of detail into some surprisingly small panels. Both artists are also skilled anatomists. Yet Sorrentino separates himself from Grell through some clever coloring choices that throw the realism of his character designs into sharp relief one panel at a time.